Less than three months ago in October, the Spaceship Ring was just beginning to top out across just over half of its segments. Today the ring structure is nearing completion. More details of the visitor center and store are also visible. 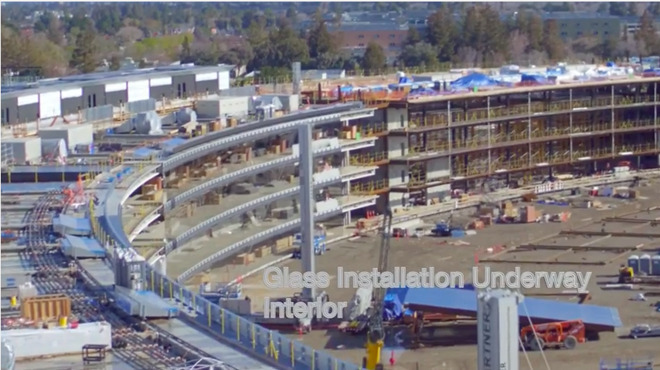 Apple plans to build a dedicated visitor center for Campus 2, which will offer views of the main ring at the heart of the development and include retail store, planning documents indicate. 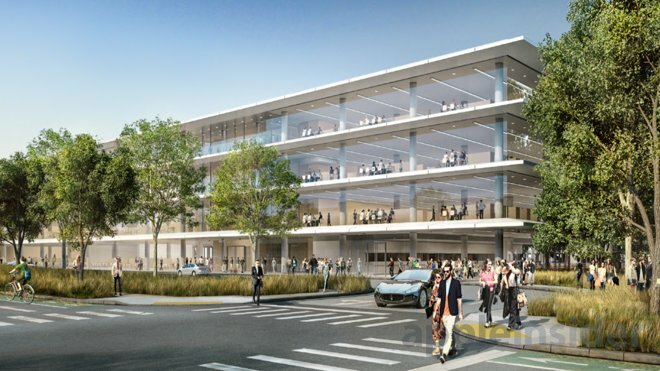 There's also a quick glance at the Phase 2 buildings rising around the periphery of the main campus, depicted in the rendering above and previously detailed as a research and design group large enough to build and test vehicle prototypes.